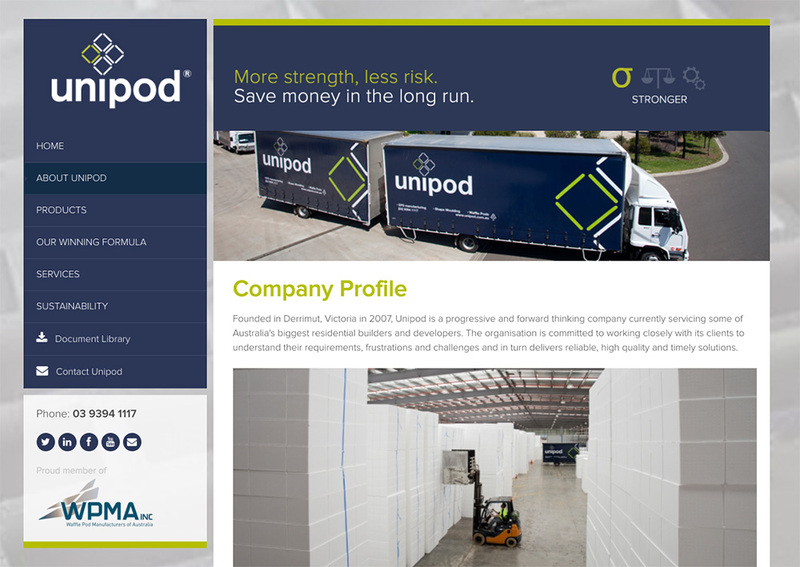 Founded in Derrimut, Victoria in 2007, Unipod is a progressive and forward thinking company currently servicing some of Australia's biggest residential builders and developers. The organisation is committed to working closely with its clients to understand their requirements, frustrations and challenges and in turn delivers reliable, high quality and timely solutions. 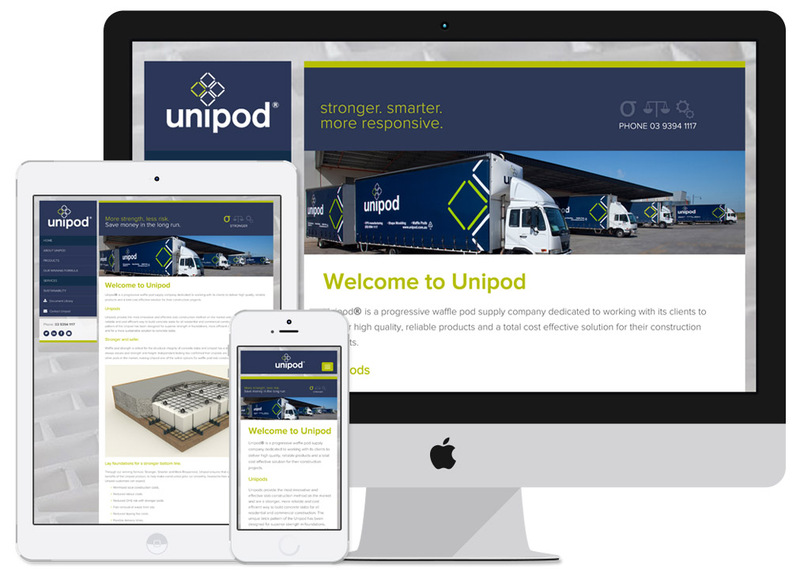 Unipod's mission is to supply the best possible products and services to its clients, providing them with a competitive advantage in the marketplace. This is achieved through building partnerships with construction industry leaders and by continuously improving the culture in the industry to envelop 'Lean Manufacturing' principles. The organisation aims to develop diversified markets, which provide stability and substantial returns and opportunity for Unipod stakeholders, employees and partners.